Worn For: A family wedding. It was suuuch a nice day for an outdoor wedding! After days of rain, there was nothing but sunshine. 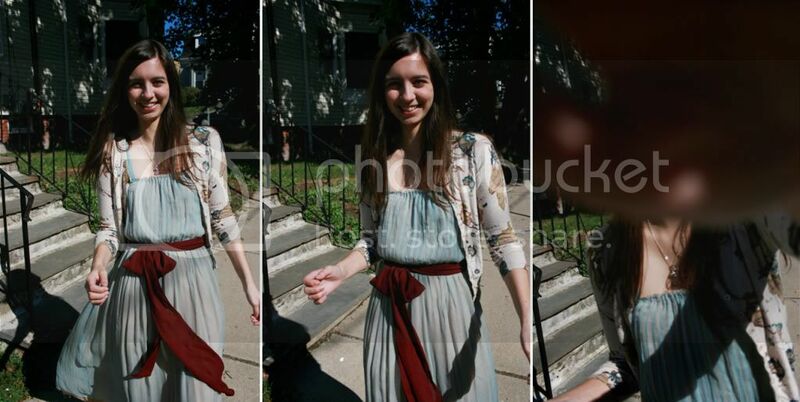 I was originally going to hem this dress to knee length, but I think keeping it long was perfect for a fall wedding - it was warm in the afternoon, it did get cooler in the evening for the reception. So keeping it long kept me a bit warmer. These heels were actually incredibly comfortable! I lasted all night in them - even through dancing - and still could’ve kept wearing them at the end of the night. I didn’t want to take them off.